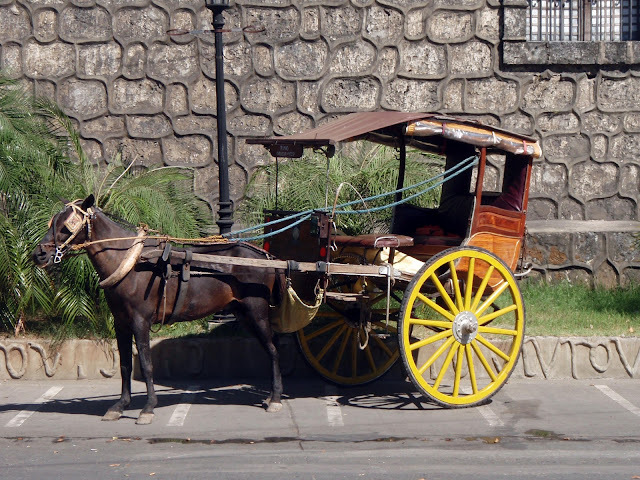 A kalesa in front of Vigan cathedral. Also known as karitela, the kalesa is a type of a horse-drawn carriage common in Spanish-era Philippines, the de rigeuer transportation for the nobles and rich. Now uncommon, kelesas are now being used in some towns and cities for transporting tourists.